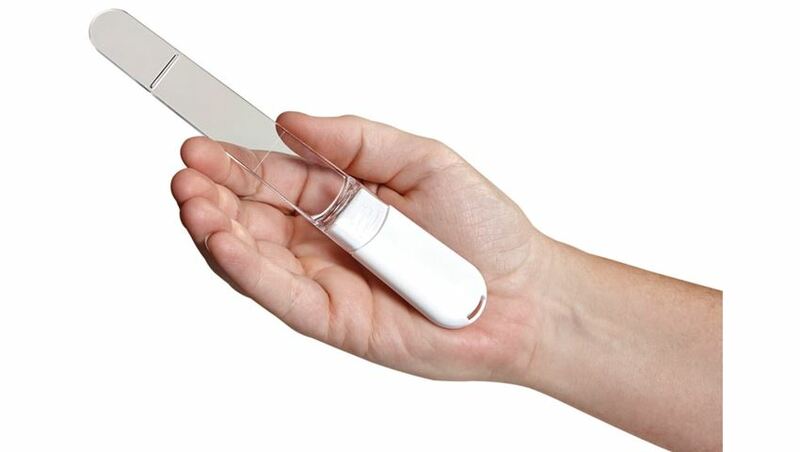 flick action removes the disposable blade from the handle. Includes a reusable handle that contains LEDs and battery and a transparent blade for depressing the tongue. Starter Kit contains handle and 2 blades. Combo Kit contains one Starter Kit plus an additional box of 50 blades. Additional Blades include a single box of 50 blades. For more information on the Throat Scope, click here.